14768 Old Hickory BlvdAntioch,TN 37013U.S.A. 3229 Old State Highway 28Dunlap,TN 37327U.S.A. 0 Ranch RdAshland City,TN 37015U.S.A. 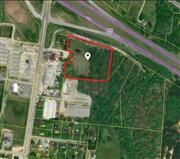 Courtesy Of Hodges and Fooshee Realty Inc.
3400 Floyd Rd Parcel 4Franklin,TN 37064U.S.A. 176 Forest Tower RdDover,TN 37058U.S.A.